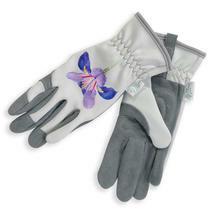 Beautiful Deerskin gloves with a choice of floral designs. 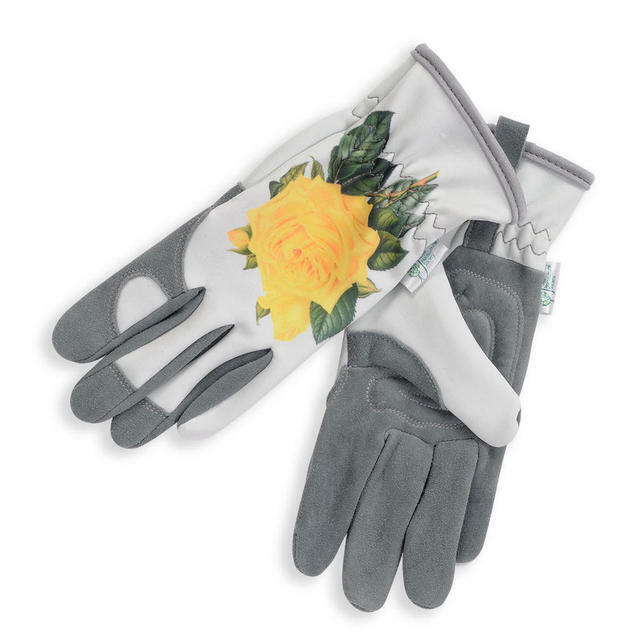 Three of our favourite flowers each depicted beautifully on the back of these well made and well-priced everyday gardening gloves. 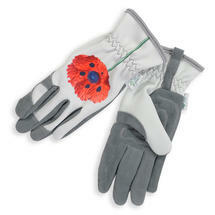 Incredible comfort, feel and durability combined with; for most average hands, a superb fit. 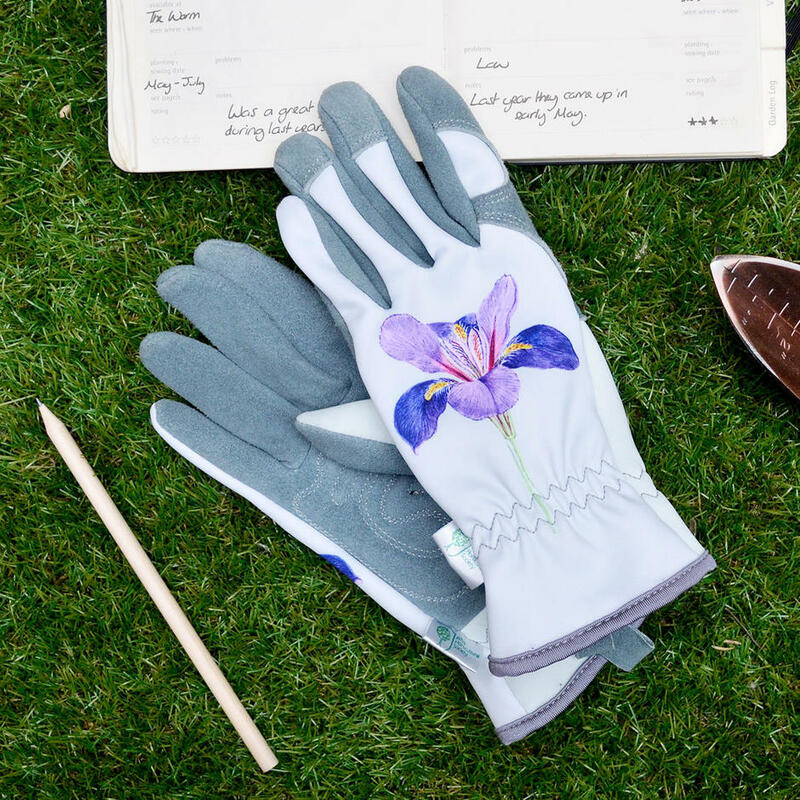 The Malvern Glove bares the beautiful Iris watercolour illustration by Lillian Snelling. The Iris is a flower widely recognised by many as a symbol of hope and wisdom. The Hampton Glove bares a colour illustration of the Merechal Niel Rose originally by lithographic printer G. Severyne, The rose is often thought of a s symbol of friendship. The Chelsea Glove bares the hand coloured printed engraving of 'The Great Scarlet Poppy' by Wedell after an original by John Lindley. The poppy is of course widely recognised by many as a symbol of remembrance. For more heavy duty everyday gloves see the gold leaf range. 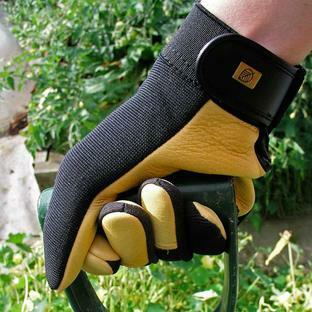 Medium sized glove fits most hands. 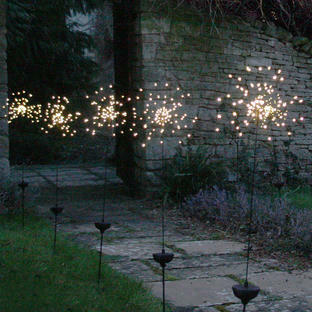 Small hook for hanging when drying or tying together.